Director Lauren Miller Rogen's 'Like Father' Reflects Her Own Emotional Journey It's Tuesday: writer and director Lauren Miller Rogen talks to Sam about her new Netflix film, "Like Father," starring Kristen Bell and Kelsey Grammer, caring for a parent with Alzheimer's disease, and working with her husband, Seth Rogen. Hey, y'all. From NPR, IT'S BEEN A MINUTE. I'm Sam Sanders, and today we're talking Netflix, namely a movie I recently saw on Netflix. It's called "Like Father." It was directed by Lauren Miller Rogen. I'm interviewing her in this episode. So this movie, "Like Father," it is a checklist of things I like a lot. It stars Kristen Bell, the star of "Frozen" and "The Good Place" and a bunch of other good things. It also stars Kelsey Grammer, aka Frasier. They play this father and daughter duo who patch up a rough relationship with the help of another thing I like, karaoke. And this movie, most of it takes place on an actual cruise ship during an actual cruise. Today I'm talking with Lauren Miller Rogen, who wrote and directed "Like Father" just for Netflix. We talk about what it's like to work with two stars like Kristen and Kelsey. We also talk about exactly how one makes a movie on a cruise ship during a cruise, and we get deep. Lauren tells me how this movie channels a bit of her family life, namely her mother's early-onset Alzheimer's and how she's dealt with that. 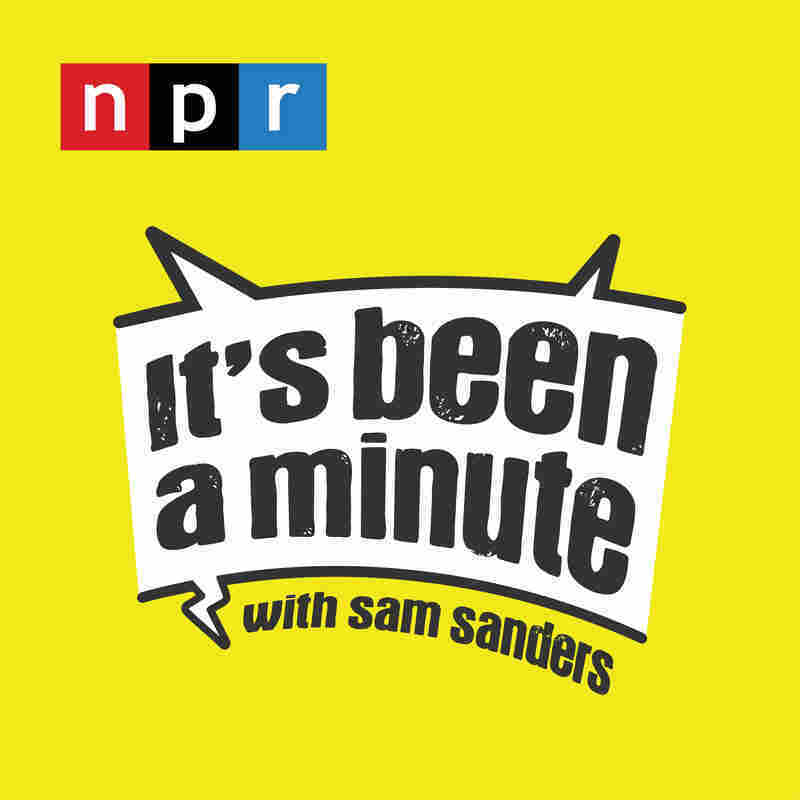 I think you'll like this chat as much as I like the movie, as much as I like "Frasier," as much as I like singing "Let It Go" in the spirit of Kristen Bell while in the shower. All right, here's me with Lauren Miller Rogen, film director. She came to chat with me in our studios in Culver City. SANDERS: Hey. How are you? LAUREN MILLER ROGEN: Oh, I'm good. Hi. SANDERS: Hey. So good to meet you. SANDERS: Your movie - it's funny. SANDERS: Yeah. Describe the film for folks who haven't seen it yet in 30 seconds. ROGEN: It's called "Like Father." It stars Kristen Bell as Rachel Hamilton, who is a bit of a workaholic. And she gets left at the altar of her wedding. And her father, played by Kelsey Grammer, has shown up for her wedding. They haven't seen each other in 26 years. And one thing leads to the next, and they end up on her honeymoon cruise. SANDERS: Yeah. High jinks ensue. ROGEN: Oh, my God (laughter). SANDERS: ...While an actual cruise was going on. SANDERS: Can you break that all down for me, please? ROGEN: (Laughter) So the idea was pitched to me by Anders Bard, who's one of the producers of the movie. And I have never been - I had never been on a cruise ship. And so I wrote the whole movie from the Internet and also my in-laws, who are big cruisers. SANDERS: So these were Seth Rogen's parents. ROGEN: ...Says hilarious and very inappropriate things that are embarrassing but really funny (laughter). SANDERS: Yeah. How many people are on a boat like that? ROGEN: ...In the middle of the ocean. Like, it's so crazy. And we were supposed to get on the ship on a Saturday. And this is when Hurricane Irma hit last fall. So the ship couldn't come back that Saturday because of the storm. ROGEN: And so - and we couldn't stay in Miami because the hurricane was heading there. ROGEN: And Netflix was like, you got to get everyone that we're responsible for out of there. ROGEN: (Laughter) And so we went to Orlando for six nights. ROGEN: ...Destroyed during that storm. But we actually had an amazing bonding time. SANDERS: (Laughter) Yes. Kristen Bell, yeah. ROGEN: ...And helped us get a hotel there. SANDERS: ...In Orlando during a hurricane. ROGEN: Yeah. And like - and they were amazing. SANDERS: Does she sing all the time? ROGEN: Not songs from "Frozen." ROGEN: ...What else? - "Dear Evan Hansen." It was, like, a big, like, songfest. It was great. SANDERS: Oh, I love it. I love it. And Kelsey sings, too, huh? ROGEN: Oh, no, he's a phenomenal singer. Well - and they sing in the movie. ROGEN: And they both really wanted it to be, like, a real crooner song. Something - they're like, you know, show off our voices and blah, blah. And I was like guys, Kristen and Kelsey are amazing singers. Rachel and Harry work in marketing. SANDERS: Yeah, the characters. Yeah (laughter). SANDERS: It's got to be different. You can't belt it (laughter). ROGEN: ...Amazing talents, which are incredible - but not about that. SANDERS: Yeah, yeah. What song would you sing at a karaoke bar on a cruise ship? ROGEN: ...Which is much more fun to me. SANDERS: ...'Cause there's literally eight words. And you just talk. SANDERS: I try to get, like, eight or nine other folks up there with me. SANDERS: ...'Cause you just got the crowd into it. It's the least amount of work required for karaoke. ROGEN: That is so funny (laughter). SANDERS: Yeah, yeah. So you're making this movie on a cruise ship. It's also your first time directing a movie. SANDERS: You asked for a lot of work with this. SANDERS: ...With thousands of people? ROGEN: ...And you know, wrote the script. So it was very ingrained in my head and the vision for it - and luckily, had an amazing cast and crew who knew what they were doing, who were really good at their jobs and worked really hard. But you know, there were those - there's a scene that takes place on the deck at night that's, like, a pretty emotional scene. And it was, like, so windy that we couldn't shoot. And we were only on the ship for one more night. And we were like, what are we going to do? ROGEN: He's - I mean, he's literally - he's the captain of the largest ship in the ocean. He's the nicest, most fun guy ever, so he came down. This is, like, at, like, 11 o'clock at night. And we're, like, trying to get our scene. The wind is everywhere. ROGEN: You can't hear anything. We couldn't put the camera over the ledge of the ship, which we wanted to. SANDERS: That's amazing. For how long? ROGEN: But, like, we had to go faster after that. ROGEN: So, like, from, like, 4 a.m. to 7 a.m., we were, like, booking it. SANDERS: Your husband's in this movie. SANDERS: You directed your husband. SANDERS: Whose idea was it to have him in the movie? ROGEN: It sort of happened somewhat organically. He was never going to be in the movie. And at one point, we started talking about him playing Owen in the beginning. SANDERS: So he was, at first, going to play the almost-husband. ROGEN: ...And, you know, was just this sort of sweet guy. And so we were in Canada, and when I'm there, I guess, I make some Canadian jokes with love. ROGEN: ...Because I had written all that in there like that. ROGEN: And so Seth's response when I said that was, I'm not going on the ship. And I was like, no, no, no. And then - but then over the next few days, we, like, kept coming up with funny jokes and, like, funny little tidbits that we could add to the Jeff character if he was Canadian. ROGEN: And then it just got to the point where he was like, oh, man. It would be funny because he'd never quite played a Canadian that could, like, make jokes like that before, and was like, OK. I'm in. ROGEN: And it just became, like, such a funny idea. SANDERS: All right. Time for a break. When we come back, Lauren tells me about how she learned to process the anger she has over her mother getting Alzheimer's disease. BRB. SANDERS: I think a lot of people reading about you and this movie would maybe think that there are some parallels between your life and Kristen Bell's character. SANDERS: This is a character who works too hard, to the point that her would-be husband leaves her at the altar, and then she's forced to patch up family relationships that, in part, have been neglected because she works too hard. How much of that is you and how much of that is not you? And did you even think of yourself at all in that character? ROGEN: The answer is yes and no. ROGEN: I was not left at the altar. My dad, fortunately, is amazing and has been in my life my whole life. ROGEN: My mom has Alzheimer's disease. And when I was writing this movie, which I started writing six years ago, she was just becoming more advanced in her disease. She was diagnosed 12 years ago. SANDERS: How old was she when she was diagnosed? ROGEN: She was 55 when she was diagnosed. SANDERS: And then you were, at that point, how old? ROGEN: ...Down into my darkness. However, it was also around the same time we started doing Hilarity for Charity. SANDERS: Which is your charity for Alzheimer's disease. ROGEN: Which is our charity for Alzheimer's disease. ROGEN: And anger - a lot of anger - where she has to sort of face the [expletive] has been presented in front of her and get to the other side. And I didn't even really realize this until we were kind of editing the movie. And I was like, oh, I did it. This is - this movie, the tone of this movie, is my life. SANDERS: Yeah. When were you angriest? Was there a moment, a day when you were like, damn it? ROGEN: No. Unfortunately, no, because there were many moments. My anger always really came out in the car. ROGEN: I would yell at people. I just thought if someone ran a stop sign, it meant the whole world was going to [expletive]. ROGEN: And I mean, I had horrific bacne. ROGEN: ...Like - because I was so stressed out. ROGEN: I hardly slept every night. ROGEN: But luckily, I, you know, pushed to the other side of that. And I found a balance that I didn't think was possible then. SANDERS: Yeah. It must be a hard kind of anger to deal with because who are you angry at? You're not angry at your mother. SANDERS: You - there's no one that did this to her. SANDERS: Like, where do you even focus your anger? ROGEN: The world - like, the world and everyone in it. SANDERS: No, but I get it. ROGEN: ...The fault in that. But it's - that's what I mean. ROGEN: You know what I mean? It's just, like, everyone. ROGEN: Oh, my God. I'm so sorry. SANDERS: It was just the worst. And, like, you're not just mad at the situation. You're mad because no one else knows how it feels - or, in your mind, no one else can know. SANDERS: No one else sees it. SANDERS: No one else gets how bad it is. And you see - and, like, when you see people smiling or running the stop sign, you just want to stop them and shake them and say, do you get what I'm going through? Do you see this? ROGEN: What's the point? Why are we doing this? SANDERS: Your mother, I'm guessing, was a great, good person and still happened to her. SANDERS: What was she like before the disease? ROGEN: She was a teacher for 35 years. SANDERS: What did she teach? ROGEN: ...Trailblazing at the time. ROGEN: So the first part of her career - I want to say for 15, 16 years, 18 years, maybe - she taught special ed. SANDERS: She had a big heart. ROGEN: ...Because you teach kids to read. ROGEN: And, more than that, she was, like, a very active parent. So not only did she work full time, but she, like, you know, was always at our events, and she was, like, a class mom. ROGEN: And, like, she was on our PTA and my synagogue board and, you know, all the things that you could do to be an active parent and friend. SANDERS: ...Her level of active parent-ness (ph)? ROGEN: ...When she was around. Of course. SANDERS: What do you miss most about her before the disease? ROGEN: ...And that she doesn't know what's happening. And I miss that she's not getting to see the payoff of her hard work for both me and my brother and who we've become. ROGEN: And - you know, and I hate that she'll miss anything that is to come. And I hate that her and my dad, who had amazing plans for their retirement, never got to experience that. SANDERS: Yeah. It seems like you have, if not gotten over the anger you might have felt about all of this, you've gotten better maybe at processing that anger. SANDERS: What did you do? SANDERS: How did you get - OK.
ROGEN: ...Showed me how I was so not alone. SANDERS: Because a lot of folks are dealing with this stuff. ROGEN: Oh, I am so far from alone. ROGEN: ...Don't have help, who aren't fortunate in their situation like we are to even be able to afford care. SANDERS: Or afford a therapist to talk about it. ROGEN: Or afford a therapist to talk about it. ROGEN: ...In the face of this terrible thing. SANDERS: Yeah. What song would you karaoke with your mom on the cruise ship? ROGEN: And so I'm a big Barbra Streisand fan. SANDERS: ..."Don't Rain On My Parade" is, like - oh, my God. ROGEN: It's the anthem of my life. SANDERS: ..."Don't Rain On My Parade." ROGEN: And so I think my mom would be like, let's give it a go. SANDERS: One more quick break. When we come back, how Lauren left a future in fashion design to direct movies. BRB. SANDERS: I want you to tell me more about where you came from - from Florida, but not always from Florida? ROGEN: No. I was born on Long Island. ROGEN: And we moved to Florida when I was 8. ROGEN: So I was in the - like, the real, like, as I say, cows, football, Jesus kind of town. ROGEN: Honestly, there was a level of being the new Jewish girl in town, which - because there were not many - my mom always talked about how she got, like, a pamphlet from the Chamber of Commerce that was, like, churches - 300; Jewish churches - one. ROGEN: And, like, that's the example I can give. SANDERS: Did y'all go to the one church? ROGEN: We - it was a temple, a synagogue. ROGEN: (Laughter) No, it's OK. But the truth is, like, I don't want to paint it as a bad place. It was honestly an amazing place to grow up - because my dad always talks about - we - where we lived on Long Island - like, he doesn't know, like, what - we were so close to New York. Like, who knows? Would I have grown up too fast? Like, and then, on top of that, I was a really artsy kid. ROGEN: ...For the arts - but had a tremendous high school for the arts. ROGEN: ...Like, the kind of, like - you know, you audition to get into - like, a "Fame" kind of high school. SANDERS: When did you know you wanted to do film? ROGEN: So it's funny. So my sort of, like, history with all that was, like, when I was younger, I did, like, as - you know, as a kid, like little plays at camp and whatever and, like, wanted to be an actor. I'm going to be an actress. And then my mom was, like, there's no future in acting. Be a fashion designer. SANDERS: Because there's a future in that. SANDERS: I like your mom. ROGEN: These are one of the things I would ask her. Like, what was the logic there - but whatever. So she was like do art. And I honestly loved both. So I was like, yeah, I'll do the art program, cool. And I went to FIT in New York and studied fashion design and had an associate's degree from there - not feeling super fulfilled or satisfied with fashion, feeling a lot of stress and anxiety - and just saw a flyer to be an extra in a movie. ROGEN: In New York - and went to the audition to audition to be an extra in this movie. It was a re-shoot for Samuel Jackson's "Shaft." SANDERS: Wow. Are you in "Shaft"? ROGEN: My torso is in "Shaft." ROGEN: And so - but, like, literally, like, I was, like, 18, had moved to New York like six weeks ago, like - and, again, it's not like I'm in it or anything. But being on the set I was like, oh, this. ROGEN: I was just so - I was so fascinated by it. So I was like, oh, I'm going to be an actor. And so then I was like, I'm going stay in New York and be an actor. And my parents were like, no. SANDERS: You and everybody else (laughter). SANDERS: Was it a good program? ROGEN: An amazing program - we have some pretty amazing alumni who've done great things. ROGEN: I'm one of the alumni - but, no, I mean, in my class, Barry Jenkins who did "Moonlight." ROGEN: And James Laxton, who was also in my class, shot that movie. And Joi McMillon, who edited that movie, was in my class - one of my best friends. ROGEN: Yeah, Wes Ball, who directed "Maze Runner," was a class above mine. No, it's an amazing program. So literally, I showed up - and I'm not joking - within 10 minutes, I was like, oh, here I am. These are my people. ROGEN: This is it. This is - from literally the first day, I came home and was like, I'm a crazy person. This is where I meant to be. SANDERS: That's got to be a good feeling. ROGEN: And it really was. Like, I literally remember thinking, like, these people, like, they feel like me. And, like, we're speaking the same language. And, like, I feel like we want to do the same things. And, like, it just was amazing and just an incredible time. SANDERS: Yeah. This is an interesting time to be a woman in the industry. SANDERS: I should say more than interesting - maybe tumultuous. I don't know. ROGEN: I don't know what the word is - yes. SANDERS: But, like, how you - you were working in this industry before #MeToo. And now you're working in it through #MeToo. Besides changing the way that we think about how women should be treated in the industry, it's also been, at least for me, like, a time to look back on the way that women have been portrayed in things like film over the years. And you say to yourself - especially in this moment of being critical about the role of women in the industry - it's like, does some of this stuff hold up? When you look back on some of the movies and TV from 10, five years ago even, you can say, oh, man, I'm not sure that would work now. Are there any projects that you've been involved in where you look at them now, in this year of #MeToo, and say, I wouldn't do that again? ROGEN: That's a good question. I don't think I've worked enough to be able to have that kind of regret. I don't think I've had enough out there that I've had that kind of regret. I mean, I'll say this. This script that we were - that I sold first, that "Star Dudes." I mean, I started writing that in 2007 - it was either 2007 or 2008. So the language that they used included some words that are not OK to say today. SANDERS: Say it, and we'll bleep it. ROGEN: It's the F-word in relating to gay people - was a word that was in there. SANDERS: And you wrote that, yeah. ROGEN: You know what I mean? I'm like, that's not - now that's not OK. It probably wasn't OK back then, but we had a different connotation. SANDERS: It was a different time. ROGEN: It was a different time. And, you know, even my husband, like, he talks about some of the dialogue that's been in some of his past movies, and it's like, oh, you can't say that now. And, like, you know, it's just like those things. But we just didn't have an awareness then. SANDERS: It was a different time, yeah. ROGEN: And that's why you have to learn from things. And the thing is that like - not to get to topical, but I think that a lot of people made jokes in their past that they shouldn't of made and have learned from them and have moved on and shouldn't be penalized for them or punished from them or taken away from directing amazing franchises for making bad jokes. SANDERS: I know what you're saying there. I'm going to let you go soon, but I want to - I, like, want to make you sing "Don't Rain On My Parade." SANDERS: It's such a good song. (Singing) Don't tell me not to live, just sit and putter. BARBRA STREISAND: (Singing) Life's candy, and the sun's a ball of butter. Don't bring around a cloud to rain on my parade. SANDERS: Thank you so much. ROGEN: Thank you so much. SANDERS: This was a pleasure. ROGEN: This was so nice. STREISAND: (Singing) Don't tell me not to fly. I've simply got to. SANDERS: It's a great song. ROGEN: It's such a great song. STREISAND: (Singing) It's me and not you. Who told you you're allowed to rain on my parade? SANDERS: Thank you so much to Lauren Miller Rogen. Next time I see you, we're doing karaoke. Lauren's movie is called "Like Father." It's on Netflix now. Go check it out. Also, another note, listeners - we're going to have a special Tuesday episode coming to your feed next month. It's all about National Coming Out Day - the history of that day, the future of that day and a few stories of coming out from you. Listen; I want to hear from you. Tell me your story about what coming out was like for you. Email me at samsanders@npr.org. We might call you and talk it out. And it might be in this podcast and maybe on the radio too. Hit me up. All right. That's a wrap. We're back in your feeds Friday with the weekly wrap-up of the news. Till next time, thanks for listening. Talk soon.